Former SCE Worldwide boss Phil Harrison says that then console market is much more competitive than it was for the PlayStation 2. 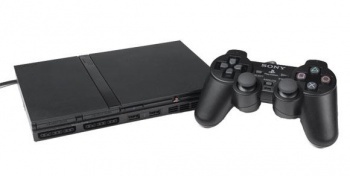 The king of the consoles - in terms of units sold, at least - is the mighty PlayStation 2, which has sold more than 147 million units since its launch in 2000. But when Harrison was asked whether he thought that the PlayStation 3 would match its older brother's record, he didn't seem particularly optimistic. Harrison's comments were part of a retrospective look at the launch of the PlayStation 2 by Eurogamer, which also included the thoughts of other Sony alumni like David Reeves and Chris Deering. Harrison thought that the market for the PS3 was much more competitive than it had been for the PS2. He said that for large stretches of its life span, the PS2 was the only game in town in a lot of places in the world, which allowed Sony to sell huge numbers of units. He thought that beating the PlayStation 2's record would be very difficult for Sony, and even if it was able to sell more PS3s, it would be over a much longer period of time. A more competitive market is certainly one of the reasons that the PS3 might struggle to outsell the PS2, but I'm not sure it's the only reason. A high price point has been something of a bugbear for the PS3, whereas the majority of PS2s sold for $150 or less. There's also the fact that - by its own admission - Sony slipped up on the advertising for the PS3. Marketing director Peter Dille said that the early PS3 ads had come off as "arrogant" and had hurt sales. Even if the PS3 tripled its install base in the next five years, it would still be tens of millions of units short of the PS2's sales. What seems most likely is that Sony will move on to new hardware long before the PS3 rivals the PS2.